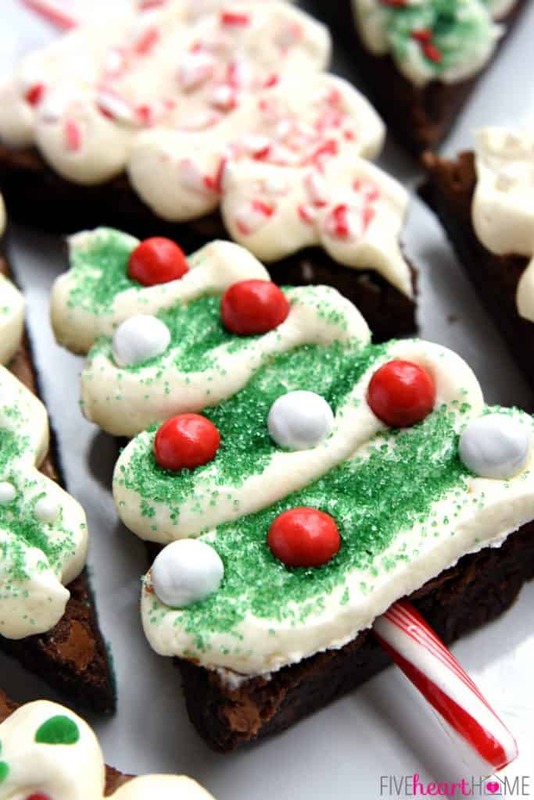 From snowmen cupcakes and reindeer bark to Christmas tree brownies, we’ve got fun recipes for Christmas treats kids of all ages will love creating! No Holiday menu would be complete without at least one Christmas treat, or maybe two, or even three! Our favourite family tradition in December is making sweet treats to share with friends and family so today I’ve collected up some amazing recipes to share with you. 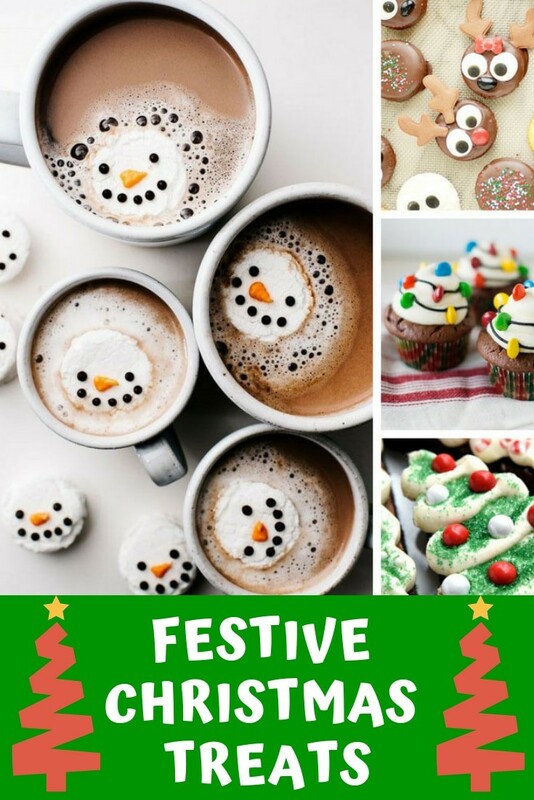 Seriously some of these treats are so cute even the Scrooge of your family will experience a festive shiver! Don’t forget to scroll all the way to the end so you don’t miss any of the delicious recipes, and be sure to hit the save button on your favourites so you can find them again later! 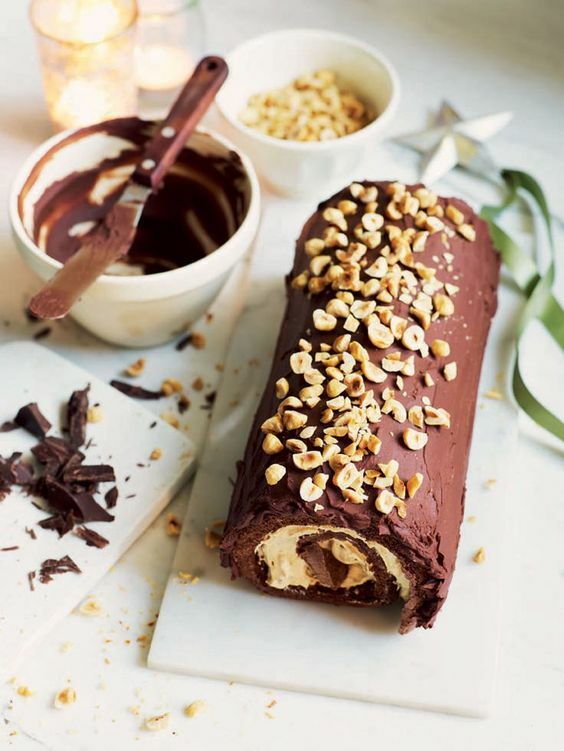 Salted Caramel Swiss Roll – Nothing says Christmas quite like a chocolate log – and this salted caramel twist brings it right up to date! 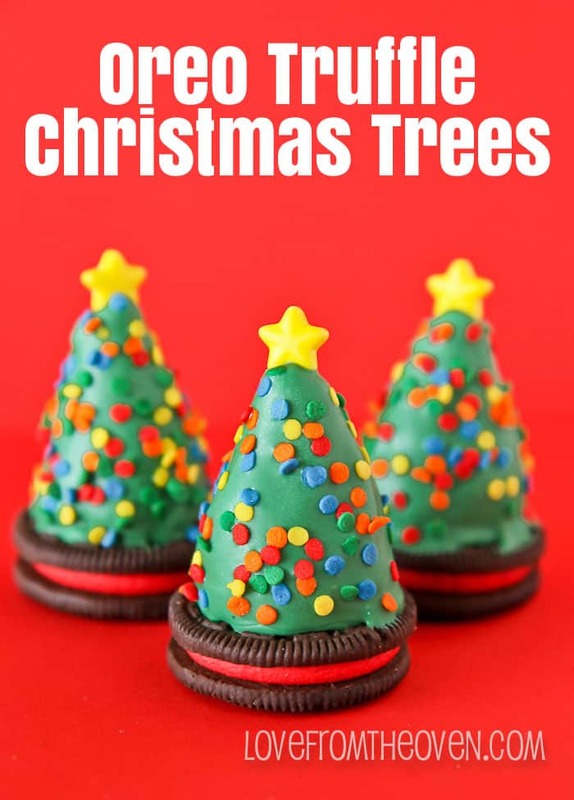 Oreo Truffle Christmas Trees – These look AMAZING but are SUPER EASY to make thanks to an oreo cookie and a cake pop mould! Vegan Gingerbread Nice-Cream – A Christmas treat with a difference – dairy free ice cream that’s Gingerbread flavoured! 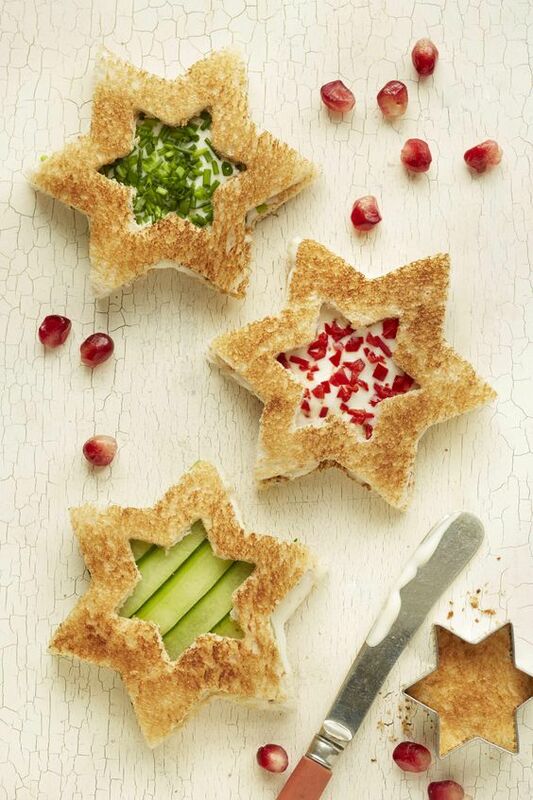 Christmas Star Sandwiches – LOVE these star shaped sandwiches! Now my kids can’t complain that sandwiches are boring! Coconut Snowballs – Oh this is just what we need – a SUGAR FREE treat that’s nice and festive! 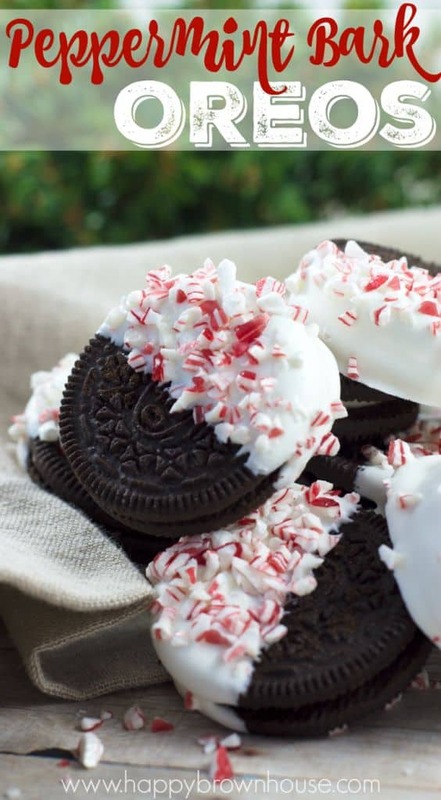 Peppermint Bark Oreos – What do you get when you cross an oreo with peppermint candy? A YUMMY Christmas treat! 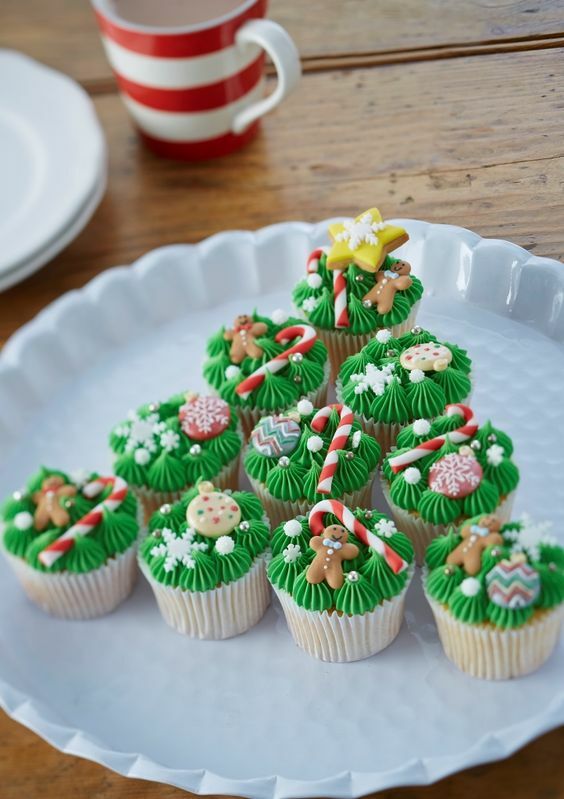 How to Make Christmas Tree Cupcakes – LOVE this idea for displaying Christmas cupcakes in the shape of a tree! White Chocolate Cranberry Soft Crinkle Cookies – Oh my! Melt in your mouth white chocolate cookies that taste HEAVENLY! Polar Bear Paw Cupcakes – This Christmas treat for the children is ADORABLE and you can use store bought cupcakes! 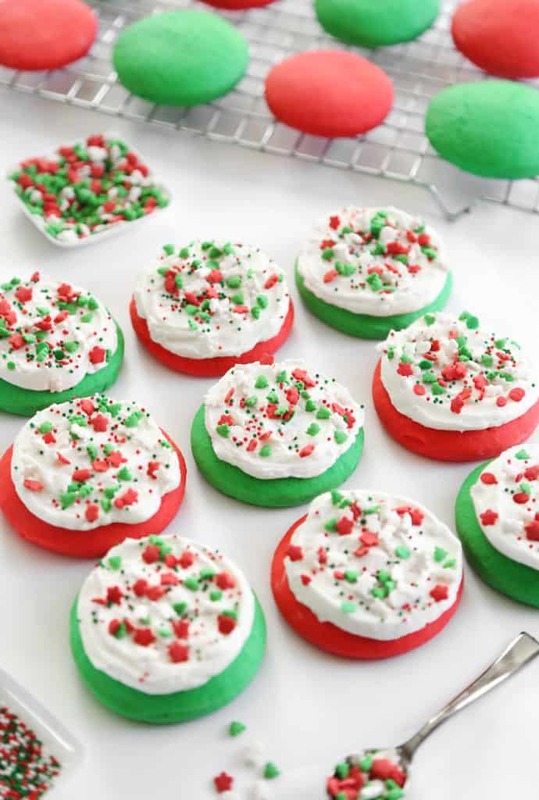 Peanut Butter Ritz Cracker Cookies – These Christmas treats are SUPER EASY. 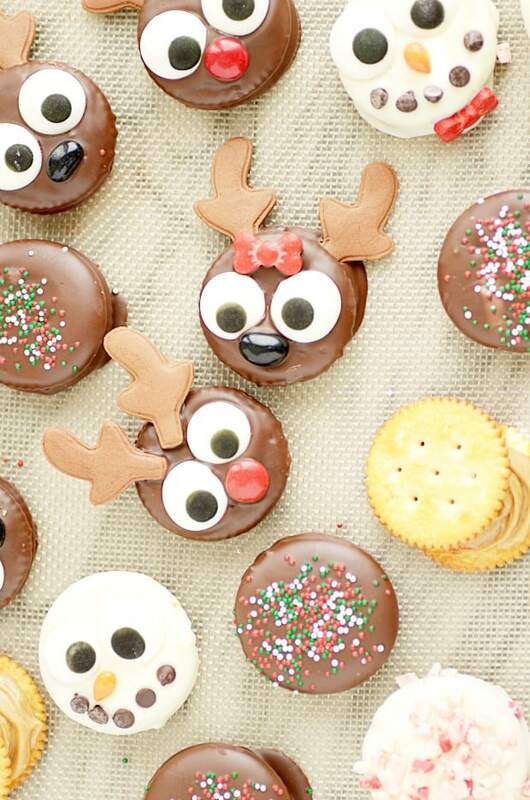 Turn a Ritz cracker into Rudolph and his friends! Mint Snowman Marshmallows – Who knew marshmallows were so easy to make! 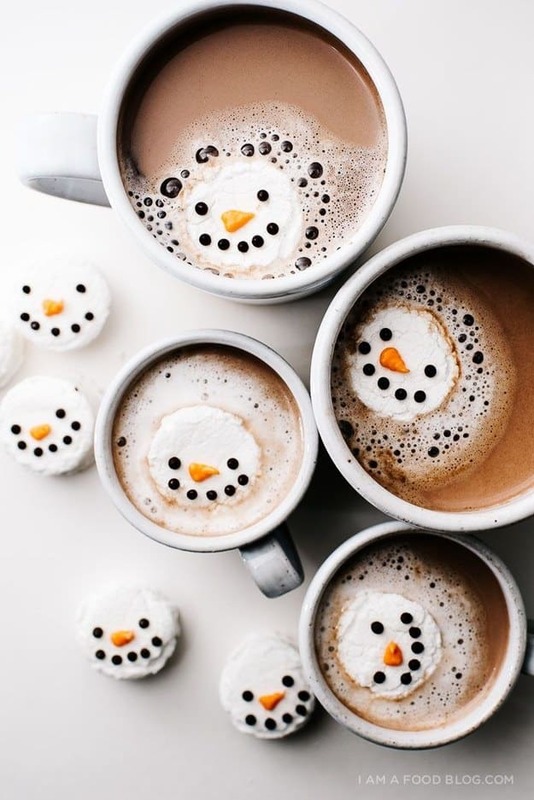 LOVE these melting snowmen – so CUTE! Christmas Tree Brownie Pops – Here’s a Christmas Treat for all you brownie fans! 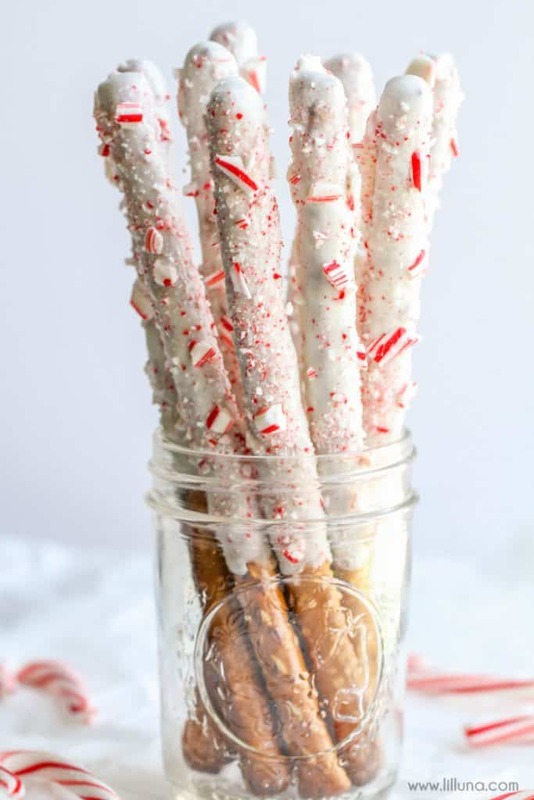 A little cream cheese and a candy cane trunk and you have yourself a Christmas tree! 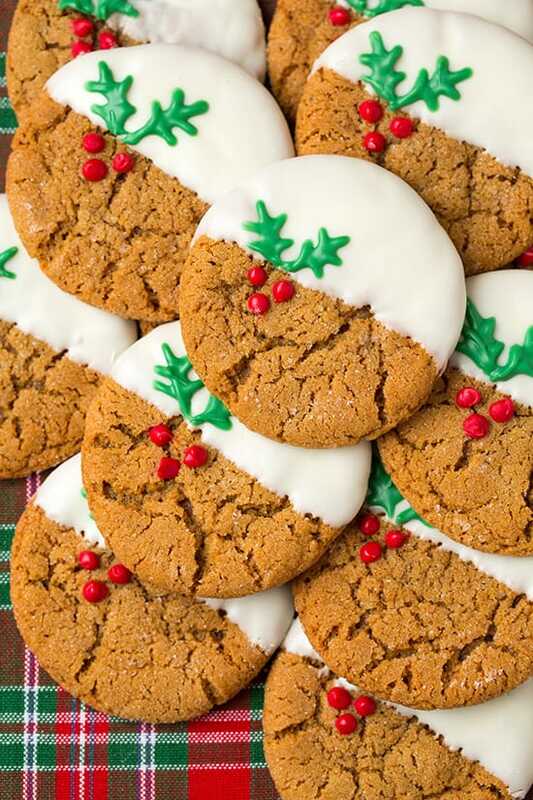 White Chocolate Dipped Ginger Cookies – We LOVE Ginger Cookies and this year they’re going to be even more festive! 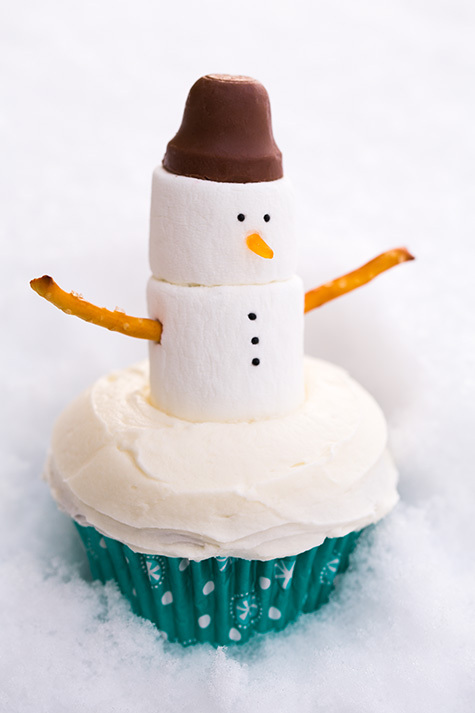 Snowman Cupcakes – Christmas treats don’t get much CUTER than this snowman cupcake! He’s SO SIMPLE the kids can make him! 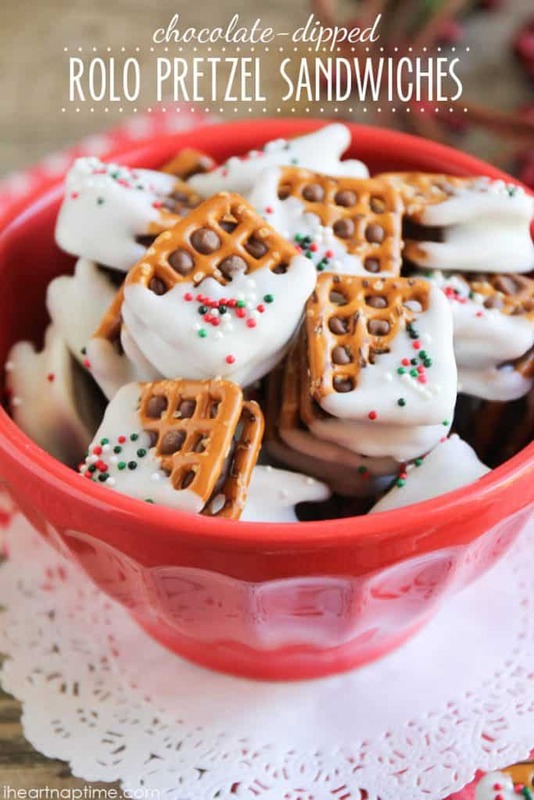 White Chocolate Peppermint Pretzels – he perfect Christmas treat to gift to the neighbours. And so EASY that the kids can have fun decorating them! Rolo Pretzel Sandwiches – If you hate baking then this is the Christmas treat for you! Just assemble ingredients from the store! 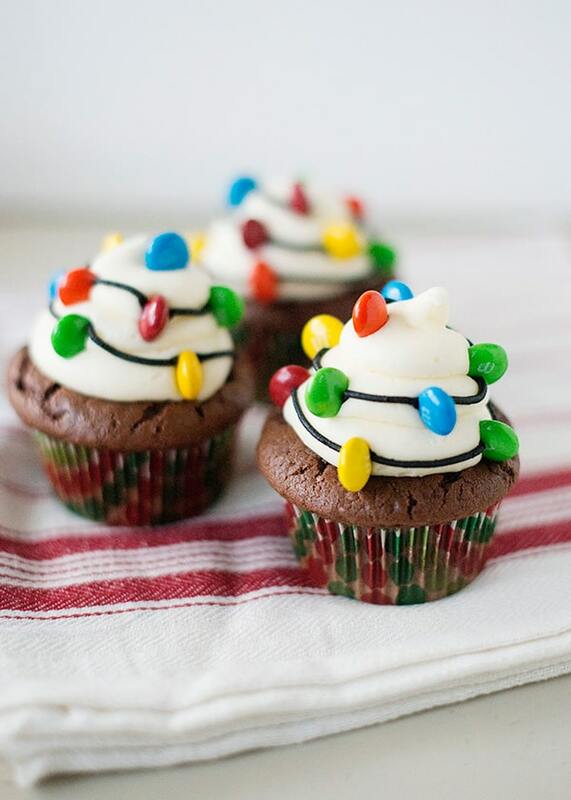 Christmas Light Cupcakes – The perfect entry for your kid’s bake sale because you can use a box mix or even buy cupcakes from the store. Everyone will be so AMAZED by the decoration they won’t care that you didn’t bake them from scratch! Rudolph Christmas Brownies – LOVE these reindeer brownies! The best Christmas treats are the ones that are EASY to make right! 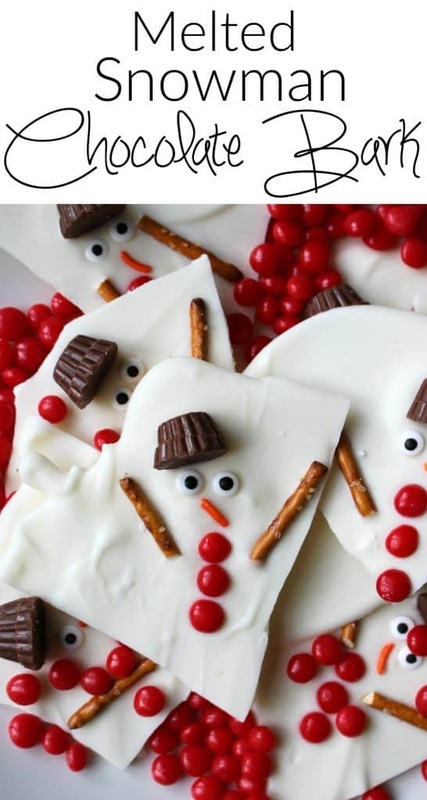 Melted Snowman Chocolate Bark – Oh this one made me GIGGLE – what an ADORABLE Christmas twist on chocolate bark! 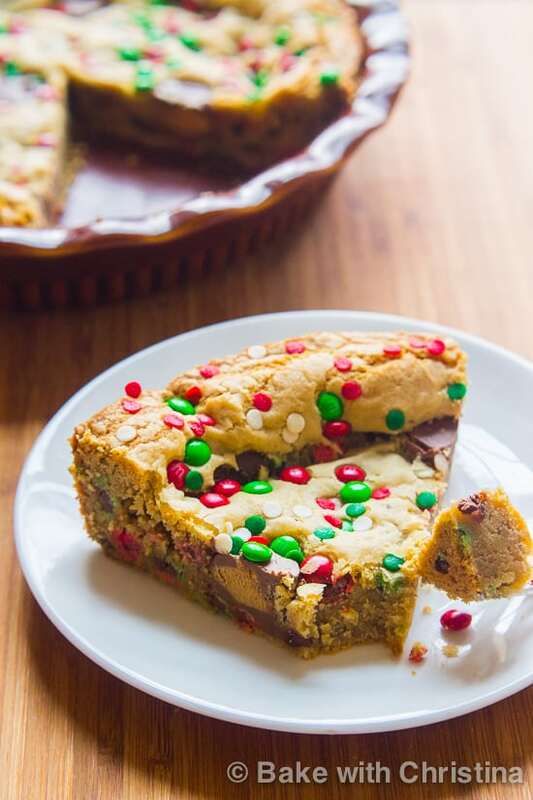 Christmas Cookie Pie – Confession time: I HATE baking cookies – but this Cookie PIE? Oh yes I can handle that! 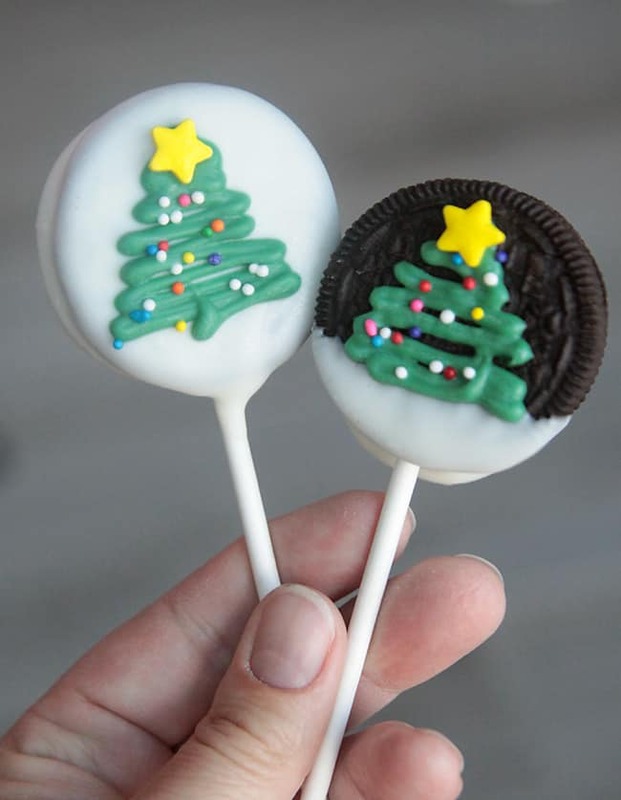 Christmas Tree OREO Pops – If cake pops are far too fiddly for your liking you are going to LOVE this treat idea – it’s made with OREO cookies! SUPER SIMPLE! 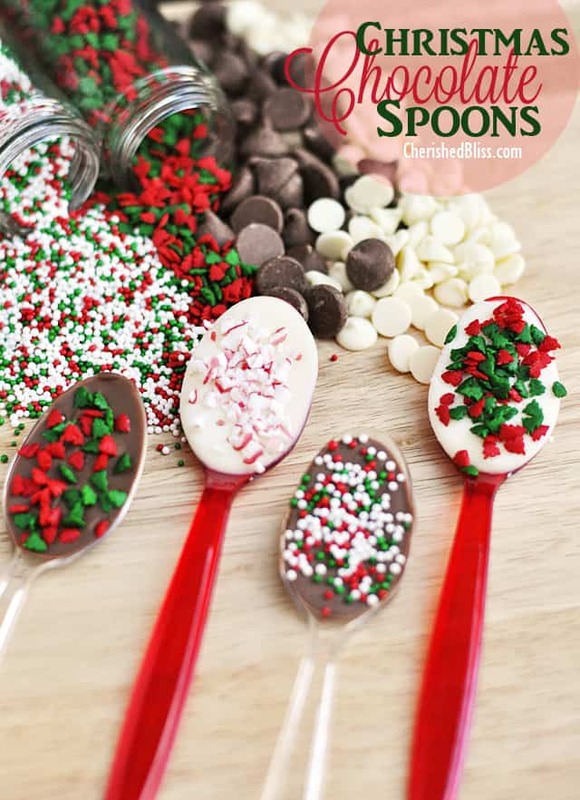 Christmas Chocolate Spoons – These are the PERFECT addition to your Christmas Eve Hot Chocolate tradition!